Just when the excitement of the FNL playoffs came out about events in South Africa would conspire to keep the teams waiting with anxiety building up while a suitable weekend was sought which would accommodate all teams. In the end the wait was worth with it with a bumper weekend put in place at St Stithian’s College with all playoffs games played over two days. The initial business of the weekend was the need to finalise pool games which would have impact on the standings and the playoffs matchups. No upsets were expected and none were had with all teams going into the quarters with the matchups that they expected. Sunday came about and it was really about one team the whole day. Rhinos came out pumped up and ready combined with a focus that has often been lacking from this talented team. But they were in their element and cruised to final after an easy victory against Hangars. Goodfellas who had beaten BWA with ease in the other semi were simply no match for Rhinos from the very first whistle. 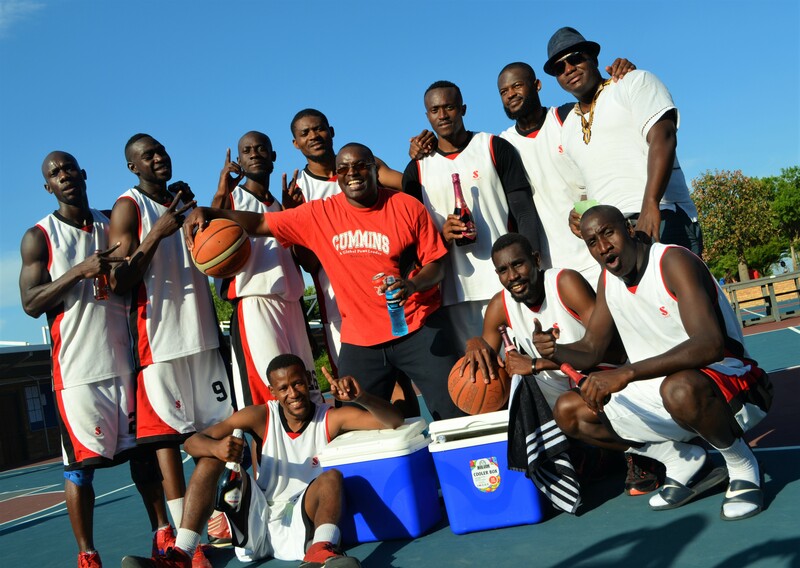 As usual Rhinos played with blistering pace and in the heat after several games played in the weekend it was just to much for a Goodfellas team that just withered in the sun. Chakela and Lebaka could do nothing but watch in silence and frustration on the sideline as Rhinos poured it on. The game was a blowout from the start and the celebrations that started early continued on court post game with cries of BANALALA!! !